REINHOLD FRIEDL’s zeitkratzer proves the perfect ensemble for “Oneirika”, avantgarde-veteran ELLIOTT SHARP’s composition / soundscape inspired by CAGE-an tradition that premiered at MAERZMUSIK FESTIVAL 2014.
zeitkratzer worked with ELLIOTT SHARP for the first time already in 1997 and have since then been releasing several cooperations, including 2 duo releases of zeitkratzer mastermind REINHOLD FRIEDL and ELLIOTT SHARP. Over the last 40 years the avant-garde musician has created an immense oeuvre: he has performed and recorded with a.o. JOHN ZORN, BILL LASWELL, ZEENA PARKINS, JOEY BARON, DAVID TORN and runs his own formation CARBON. SHARP also composed for the SOLDIER STRING QUARTET, the AMERICAN COMPOSER’S ORCHESTRA or the SYMPHONIC ORCHSTRA of HESSISCHER RUNDFUNK (the New Yorker actually studied with MORTON FELDMAN and ROWELL RUDD). “Oneirika”, named after the greek waking dream, is inspired by the CAGE-an tradition and, with its score making use of SHARP’s innovative method to filter and process his self-generated musical manuscripts via Photoshop, leaves a great interpretatory latitude to the performers. A perfect subject for an ensemble of the calibre of zeitkratzer who are able to translate from a frequency of light and image into sound and motion. It also fits perfectly with zeitkratzer’s sound philosophy: high-quality amplification of acoustic instruments! 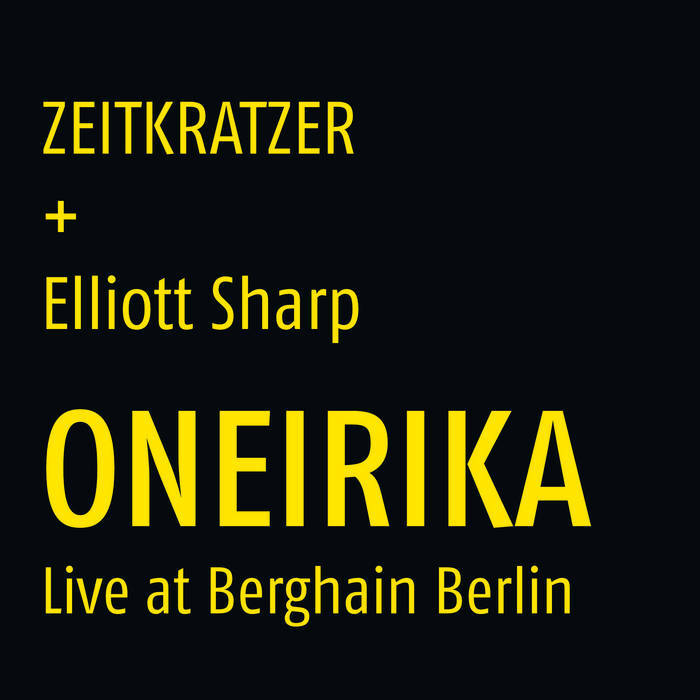 “Oneirika” was commissioned by Berlin`s Maerzmusik Festival and premiered in 2014 at the Berghain, Berlin. Recorded by MARTIN WURMNEST , mixed by RALF MEINZ, mastered & cut by MIKE GRINSER at D&M.